As Justice helps bring to light here, the air remains replete with fallacious assumptions that Indigenous culture is not written; that it must remain fixed within pre-contact (i.e. “oral”) traditions. Don’t mistake this attitude as an innocent error of the uneducated. Take, for instance, Anthropologist Adam Kuper’s insistence that Indigenous identity “is one that exists outside of the modern. It is one that must remain temporally fixed in an ahistorical past and geographically within non-urban locations” (qtd. in Johnson 220-21). In Justice’s story writing is the urban location and indigeneity is assumed to be forfeited when that border is crossed. Now imagine the surprise one might note in reaction to Indigenous sf (which Justice also writes): “What’s a story like you doing in a genre like this”? Despite continued surprise from the reading public about Indigenous literature, Indigenous knowledges and Indigenous sf are central to the ways in which Indigenous and non-Indigenous cultures imagine tomorrow. This essay attempts to illustrate the centrality of indigeneity in sf while pointing to the ways in which reading the Indigenous representations already present in canonistic texts can change how readers think about sf and geopolitics, particularly in their relation to land and new worlds. Most importantly, survivance establishes Native identity in the present, as opposed to viewing Native experience as a relic of the past, consigned to museum exhibits and to the nostalgic longing for a return to the noble, savage fictional contact narratives in the guise of an alien race: from the Na’vi that inhabit James Cameron’s Pandora, for example, back to the red Martians of Helium in Edgar Rice Burroughs’ Barsoom books. 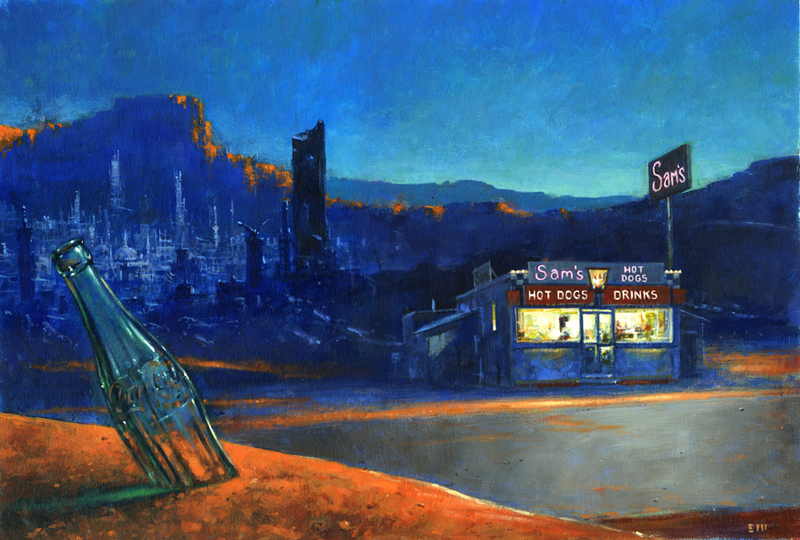 One of five interior illustrations commissioned by Subterranean Press and PS Publishing for their definitive edition of Ray Bradbury’s The Martian Chronicles. Via Vizenor, Dillon’s analysis of Bradbury recuperates canonical sf into a CIS framework that restructures the way readers think about colonizer/colonized binaries. Indigenous presence on Bradbury’s Mars is not erased during the colonization that provides for the bulk of the story’s plot; it survives to Indigenize the colonizer: physically and mentally altering the guests until they become, without romanticization, of the land and of the culture of the original inhabitants: “by imagining racialized becoming in place of racialized othering” (Dillon 65, original emphasis), Dillon reads Bradbury as antidote to a system structured on colonial dialectics: savage/civilized, us/them, tradition/progress. “What’s a story like you doing in a genre like this?” According to Dillon, radically blurring the distinctions that would seem to determine what sf is. Following from Dillon’s methodology, my current research takes up Indigenous Futurism in relation to cyberpunk, a science fiction sub-genre well known for its focus on “high-tech and low-life” (Ketterer). With significant contributions from authors such as Misha Nogha (Métis), Skawennati (Mohawk), and Daniel Wilson (Cherokee), Indigenous cyberpunk has become a vital part of the contemporary literary landscape and the ways in which Indigeneity is imagined into the future. Further, Indigenous cyberpunk is also a vital space in which to explore, from both literary and historical perspectives, the permeable relationship between indigeneity and modernity—which, as suggested in my introduction, new readers are prone to approaching within the limiting confines of another colonial binary: tradition/innovation. As the social media and literature critic Steven Jones notes, Gibson’s cyberspace is a world of numbers and bureaucracy, “a vision of monolithic corporate control” (264) in which data is spatialized, but in which movement in that space is uncomfortable at best, deathly at worst. 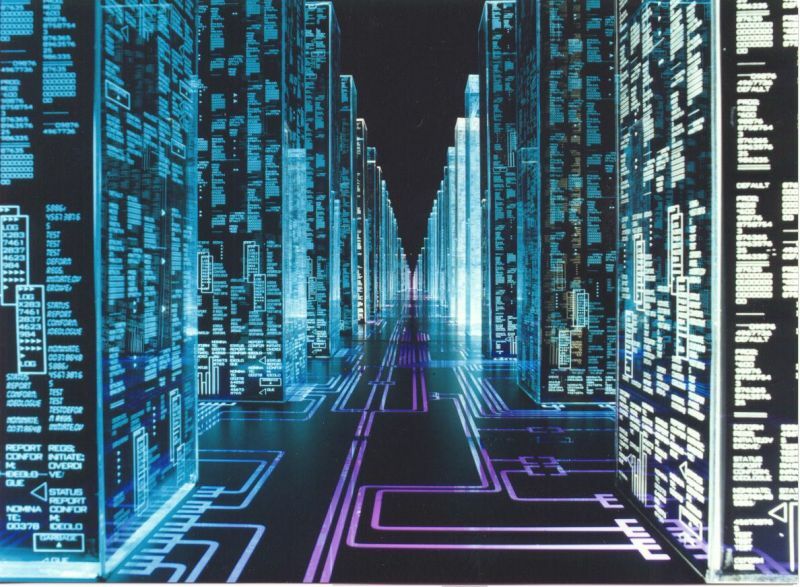 Out of Gibson’s cyberspace Hollywood gets visualizations of the “Net” such as represented in cyberpunk films like Hackers (1995), Johnny Mnemonic (1995), and, of course, The Matrix (1999). These films render graphical the “space” imagined by Gibson: brightly coloured, quickly moving constellations of data that carry only the ghostly imprint of a city or a world. Stephenson’s metaverse is simultaneously presented as an ostentatious social space (note the direct comparison to Las Vegas above) and as a cooperative, community and neighbourhood. While fugitive hackers can only fleetingly occupy Gibson’s cyberspace, the metaverse is a place where visitors can hang out, relax, chat with friends, get high, and even put down roots. As a “world,” universe, or even neighbourhood—as opposed to “space”—Stephenson’s metaverse shaped and continues to shape the social environment of the Internet as we know it in real life (IRL). In 2003 Linden Lab launched Second Life, a massive 3D virtual world built and inhabited by its users, with the expressed goal of creating “a user-defined world like the Metaverse in which people could interact, play, do business, and otherwise communicate” (Maney, my emphasis). 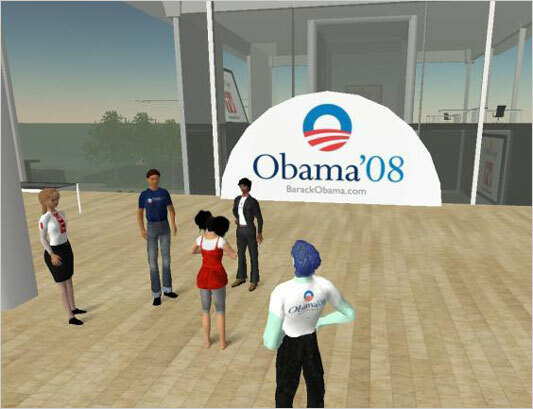 Via Second Life, the metaverse has had an incisive effect on real and digital economies and it continues to influence the ways in which tech companies construct and market cyberspaces. Second Life hosts five embassies (Maldives, Sweden, Estonia, Macedonia and the Philippines) and has its own economy based on a currency referred to as Linden dollars. Second Life also has a reported GDP of $500 million (Guardian; based on 2007 numbers), placing its economy slightly above Taiwan and Argentina. What “land” and “geopolitics” mean in this space is thus being radically reconfigured. As founder Philip Rosendale states, “what we are really selling you is computation. We are selling you CPU core. If you buy a 16-acre piece of land, which is about four city blocks, what you are renting is one processor” (Guardian). What platforms like Second Life mean for economists, geographers, cultural theorists and politicians has only begun to be theorized—but these worlds are creating change. Yet, returning specifically to CIS and its representation in the sf canon, while Snow Crash is well regarded as the mould for cyberspace IRL, the complex ways in which Stephenson structures the metaverse around race and (non-European) culture, has traditionally been elided in its translation to “literal” digital spaces, such as graphical chat rooms, Multi User Dungeons (MUDs) and Massively Multiplayer Online Games (MMOGs). Despite Stephenson’s influence on the market, according to Internet scholar Lisa Nakamara, cyberspace remains a space of “default whiteness” (33) more akin to Gibson’s Neuromancer (in which characters are racialized in relation to a white protagonist) than the much more racially complex Snow Crash. Indeed, while “Asian” signifiers are well theorized in this novel—Nakamara, makes a compelling argument for “techno-Orientalism” as one of the key semiotic devices in the literary and filmic articulation of futurity—indigeneity is notably not. This omission is significant simply because the primary antagonist, Raven, is an Aleut man—the Aleuts being the IRL Indigenous people of the Aleutian islands in Alaska. In order to adequately theorize this novel, critics need to more deeply contend with this crucial character as an Indigenous man—which includes thinking through his omission from the critical literature, which I will attempt to do below. Opposed to Hiro, who is written as a complex and fully realized (albeit problematically racialized) character, Raven’s primary characteristics seem to be futuristic representations of the classic Hollywood stereotypes of the “angry Indian” his three defining characteristics are: 1) his enormous size, 2) his volatility ( “poor impulse control” (128) is tattooed on his head, and 3) his thirst for revenge for the destruction brought to his people by colonialism particularly via Cold War politics. Here, Stephenson references the real world decimation of Aleut land during the Cold War. 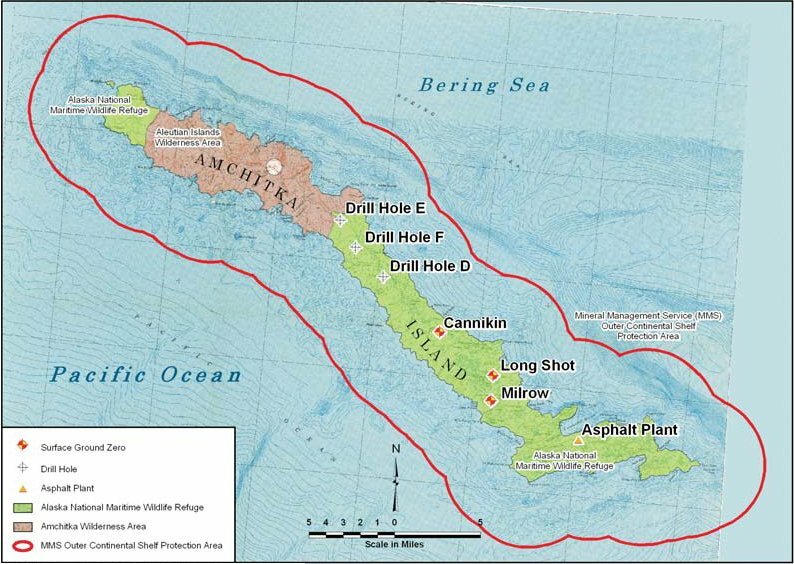 In 1969 and 1971 the United States Army detonated the largest underground nuclear explosion in U.S. history on Amchitka Island, the midway point of the Aleutian Islands, which were previously protected under the National Wildlife Act. The explosions rendered water sources in the area undrinkable, fish and game unfit for consumption, and led to the death of dozens of Aleutians as a result of radiation-linked cancers (Kohlhoff). The deputy assistant secretary of the Department of Energy, Dr. Paul Seligman, justified the damage as a price of War: “These were hazardous operations… The hazards were well understood, but the priorities at the time were weapons production and the defense of the nation” (qtd. In Clair). Raven’s assertion that Y.T. has never heard of the Aleut’s because “they’ve been fucked over” thus demonstrates not only the ways in which Western ideology and technology has destroyed Indigenous land and traditional life under the pretence of national defence, but also how these devastating histories are repressed from the public imaginary, rendering Indigenous peoples and the violent histories of colonialism invisible. What’s a story like you doing in a genre like this? Well, Indigenous peoples and land are deeply encoded into the ways in which readers interpret adventures into a new world. The elision of Indigenous peoples and histories IRL in Snow Crash thus translates directly into Stephenson’s cyberspace, contributing to how we understand that space geopolitically. As the above chase scene illustrates, Raven’s presence in the metaverse is crucially less defined than his protagonist counterpart; he is captured in that space only as “a storm of cheap colour and big pixels”—a pixel being the basic unit of a digital picture and a pixilated image being one that is “captured, reproduced, or displayed as pixels, usually with a grainy or low-resolution result… for purposes of censorship or to maintain the anonymity of the subject” (OED). Read as the upshot of settler colonialism, Raven is afforded none of the clarity of his protagonist counterpart inasmuch as his translation into cyberspace reflects the “censorship” of Indigenous histories within the repressive ideology of the settler state. It is against this “negative” presence that Stephenson establishes Hiro’s claim to cyberspace and the insistence of colonial presence (albeit a radicalize colonial presence) in this new digital territory. But, like Hiro, Raven’s presence in the metaverse is more complicated than a one-to-one representation of racism IRL. His representation in that space is in fact a double elision, both in his relation to the repressive ideology of settler colonialism, and in the fact that his particular brand of “futurism” does not line-up with Western models of progress of sf—which, as Dillon argues, often assume that non-European cultures will disappear or assimilate (CFP). Raven’s malevolence (which reads as one-dimensional, bad guy “evilness” if not given the proper historical context) is structured around his hatred for the Western technology which that wreaked havoc on his people and land, as well as his drive to find revenge for the damage that technology caused. In this sense, Snow Crash generates a productive future space in which Indigenous ressentiment remains a resonant part of the political landscape—as opposed to something that the colonial government has recuperated, reconciled or otherwise “dealt with.” In this sense Raven is, as N. Katherine Hayles identifies him, the uncanny “repressed of [America’s] cultural imaginary,” returned to haunt the future and the “new worlds” that attempt to elide Indigenous presence. Indigenous futurism seeks to challenge notions of what constitutes advanced technology and consequently advanced civilizations. As settler colonial governments continue to demand more and more from the Earth, Indigenous peoples seek the sovereign space and freedom to heal from these apocalyptic processes. Read in opposition to “progress” Raven can be recuperated into an Indigenous model of futurism that seek to find healing and/or restitution for the damage inflicted by those same models of progress. While he embraces Western technology, Raven does so as a means to also rally against it—seeking revenge against and refuge from the colonial technology that, “[came] this close to killing me” (368). As I argue in the forthcoming introduction of a new collection of Indigenous genre fiction, to “’indigenize’ genre is not only to read Indigenous literature alongside genre-specific tropes, but also to identify the ways in which indigeneity contributes to and shapes these tropes” (qtd. in McCall et al). Read out of Critical Indigenous Studies and the politics of settler colonialism, Snow Crash’s Raven opens up a space to reconsider and reframe sf and the models of progress, from within the core of a genre that simultaneously works to elide Indigenous presence. “What’s a story like you doing in a genre like this?” Well, the story was here before the genre. The question is what are you going to do with it? Coulthard, Glen. Red Skin, White Masks. Minneapolis: Minnesota UP, 2014. Cornum, Lyndsay. “The Space NDN’s Star Map.” The New Inquiry. January 26, 2015. Biographical, Anthropological, Literary, Scientific and Other Perspectives. Ed. Gloria McMillan. Jefferson, North Carolina: Mcfarland & Co Inc. Pub, 2013. 57-69. —. Call for Papers: Extrapolation special issue on Indigenous Futurism. Web. Gibson, William. Neuromancer. New York: Penguin, 2000. —. “Burning Chrome.” Burning Chrome. New York: Harper Collins, 2014. Guardian, the. “Today Second Life, Tomorrow the World.” May 17, 2007. Heinlein, Robert. “On the Writing of Speculative Fiction.” Of Worlds Beyond 2nd ed. Lloyd Arthur Eshbach, ed. Chicago: Advent, 1964. 13. Indigenous Communities.” Indigenous in the City: Contemporary Identities and Cultural Innovation. Eds. Evelyn Peters and Chris Anderson. Vancouver: UBC Press, 2013. 216-230. Justice, Daniel. “Indigenous Literature.” The World of Indigenous North America. Ed. Robert Warrior. New York: Routledge, 2015. 291-307. Maney, Kevin. “The king of alter egos is surprisingly humble guy”. USA Today. 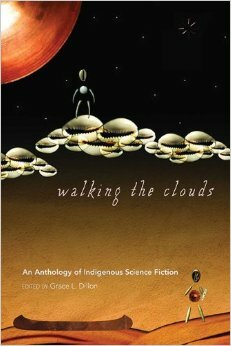 Anthology of Indigenous Short Fiction. Wilfred Laurier UP (forthcoming). The genre arguably extends well back into Indigenous literature (Sturgis). Stephenson would go onto making a number of contributions to how the Western world imagines cyberspace (for instance in his conception of the “wet-net” in Diamond Age). However, I argue that Snow Crash is the beginning of world building in Cyberspace, which, along with its representations of Indigenous peoples, is why I focus on it here. I am borrowing here from Dene scholar Glen Coulthard’s definition of the term.